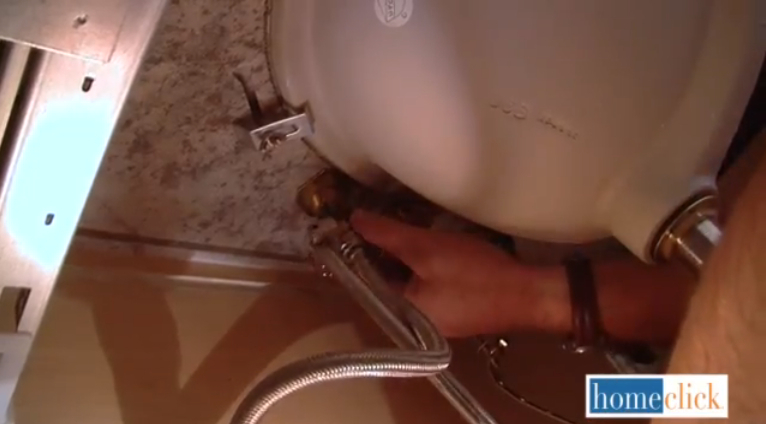 Welcome to our latest DIY plumbing guide, showing you how to replace a bathroom faucet. As part of our DIY plumbing series, we’re excited to help our readers understand how they can easily solve most problems in their own homes. With a little bit of instruction, some patience, and the right tools, you can keep your home running smoothly every day. 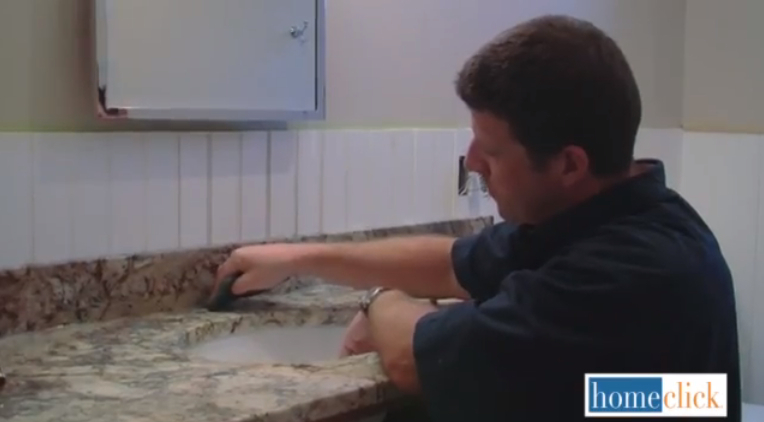 Whether your home is old and in need of an update, or you’re simply at a point where you’re ready to upgrade your bathroom, you just might be looking at a faucet replacement project. We’re here to let you know that you don’t have to worry; it’s easier than you could imagine! Replacing your own bathroom sink faucet involves a handful of steps, all equally important, and only a minimum of tools. If you’ve got the materials listed below and some time on your hands, you’ll be washing with a bright new faucet today! The best part about this process, we think, is the bare minimum of tools required. Sure, you’ll have to purchase or borrow a basin wrench if you don’t already own one, but it’s a great piece to keep around the house for future use. As far as we’re concerned, there’s nothing more satisfying than completing a home improvement project all on your own. 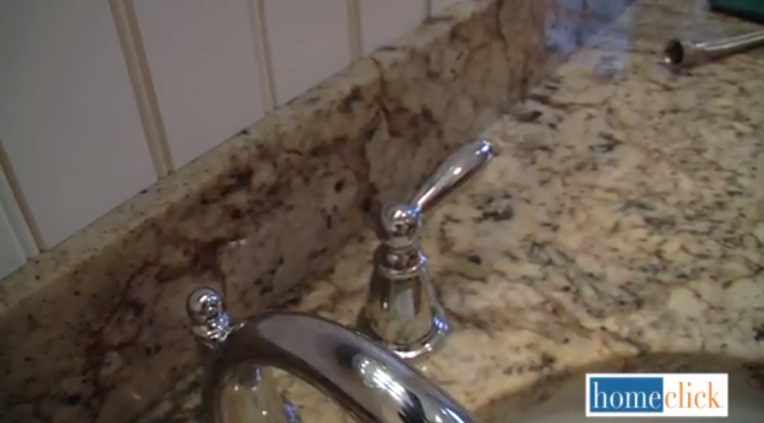 It makes your home more beautiful and functional and you won’t have to pay out the nose for a professional’s time. This is a task easily suited for novices and will take around 60 minutes total of your day. So that means you’ll have a brand new faucet in just an hour! Based on an article on Homeclick.com. 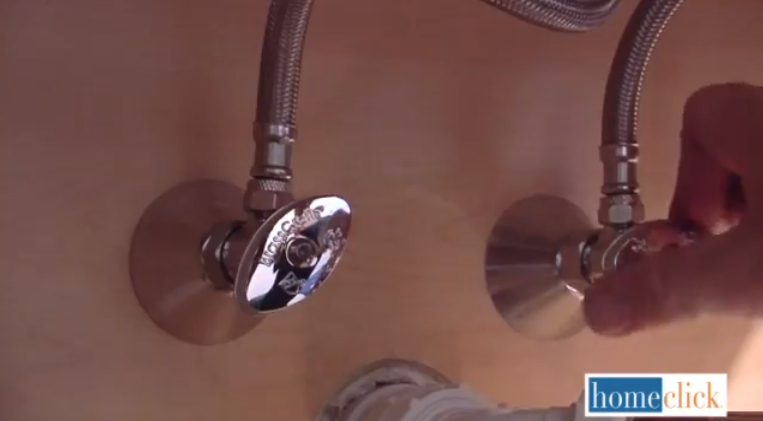 See our full collection of DIY plumbing guides here. This first step is very important. 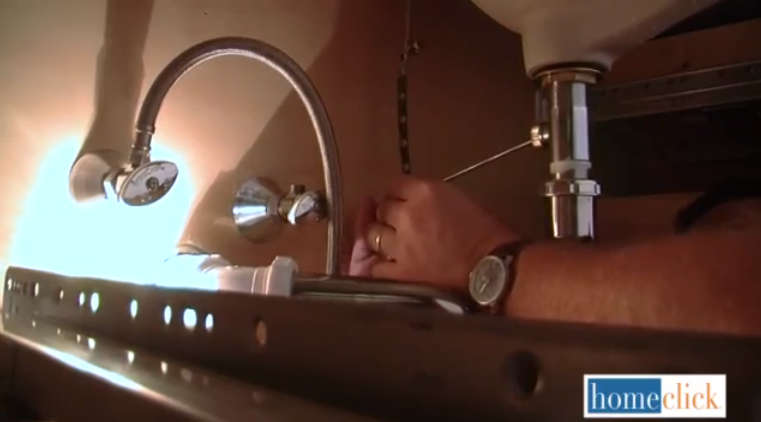 You’ll want to turn the cold and hot water lines off using the valves which should be located somewhere below the sink itself. They will be hidden inside your vanity or behind the pedestal, and can be turned without any special tools, other than some elbow grease. 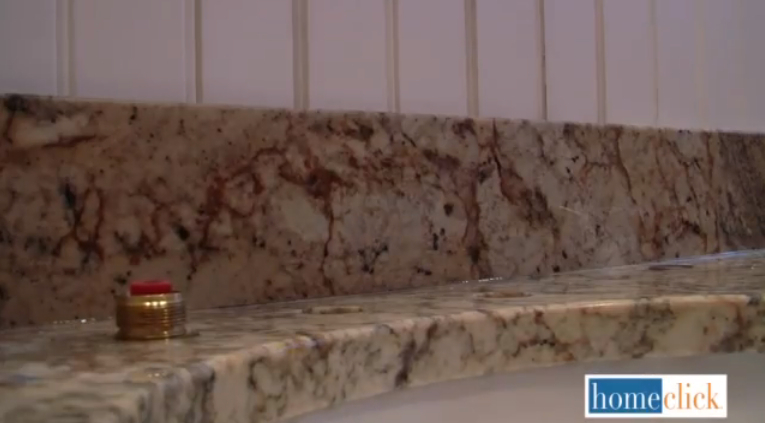 With the water safely turned off, you can now get into the meat of the project by removing the old faucet set. This is where you’ll use the wrench to take the faucet pieces off. Then once all parts are removed, you’ll want to clean the skin area surface of any silicone, plumber’s putty, or gunk that’s built up. Here is where you’ll insert the valve stems through the holes and secure them as snugly as you can. 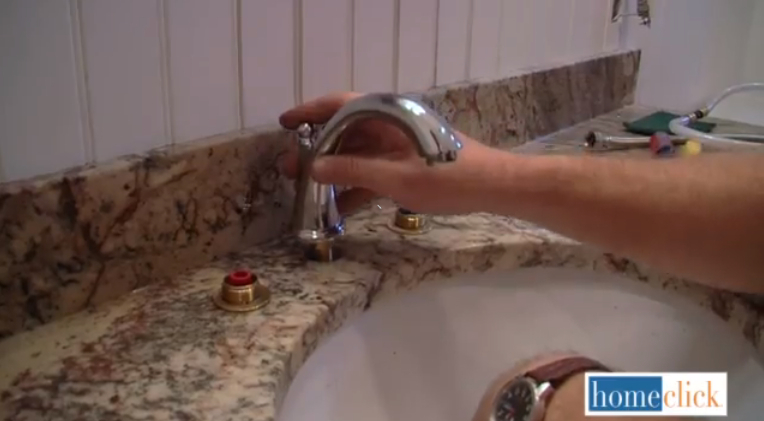 Remember that hot water (red) goes on the left, cold water (blue) goes on the right. Now you’re going to get started on the new sink hardware. At this point, you can insert the stem of the spout through the middle hole and secure it to the mounting bracket using the included brass nut. Make sure it’s tight as can be, because this is the core of your new faucet. Now you’re going to be moving beneath the sink. Secure the new lift rod to the pop-up mechanism according to the manufacturer’s instructions that came with your new faucet. 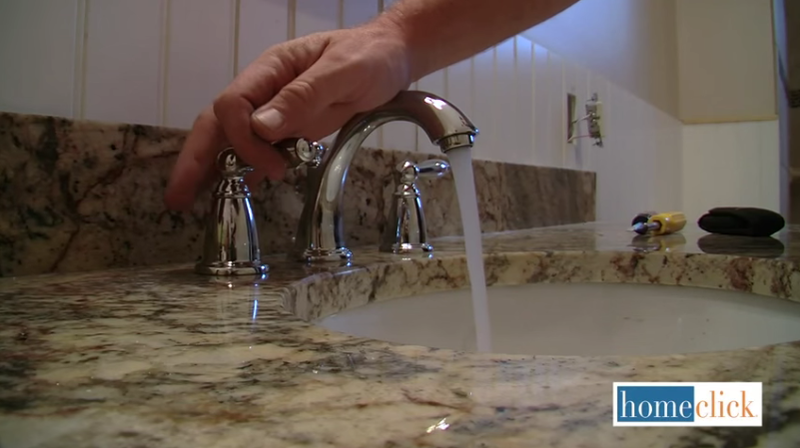 Now you’re ready to attach the water supply lines and get your new faucet functioning. So, attach the hot and cold water supply lines by screwing them on to the valve stems you have in place. Depending on the manufacturer’s instructions, you might need use of Teflon tape. We did on our own sink. 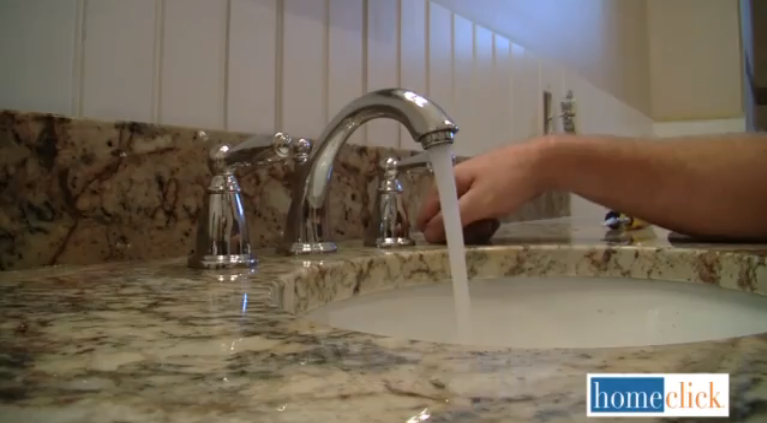 At this point, your new faucet should be ready to go. Turn on the water and try it out! Both hot and cold handles should work evenly without leaks of any sort. And there you have it: a functioning new bathroom sink faucet!